Research shows your customers are ready to stop dating around and stick with the businesses who go above and beyond to create a fantastic customer experience. Whether that means dazzling them with a slick newsletter, a sharp annual report or an elegant convention display, graphics may be the smartest investment you can make in your business. The 2014 Alaska Federation of Natives brought together Native peoples of different lands, languages and cultures. The gathering celebrated each unique cultures, while consolidating political influence. The guide below (proposed), including a new logo for the event, deemphasized political figures, instead celebrating community and tradition. Challenge: Previous logo (below, left) has tremendous loyalty. It was important to the client that any changes must not dramatically affect overall design. The mark, however, is top-heavy, giving it an unintended vulnerable feel. Also, the shape needed to more accurately reflect traditional Native headwear and kayak design. Solution: The silhouette was barely changed in keeping with the original, but the reworked logo (right) is a more accurate figural representation of a hunter in a Aleut hat and ancient coastal kayak. Suicide Prevention is one of Alaska's most critical challenges. The Statewide Suicide Prevention Council's Annual Report gives caregivers and citizens reliable, detailed statistics to arm citizens and caregivers with the tools to make a quantitative difference, for any one person at risk, and the State as a whole. CLIENT: CHUGACH EDUCATION SERVICES, INC. 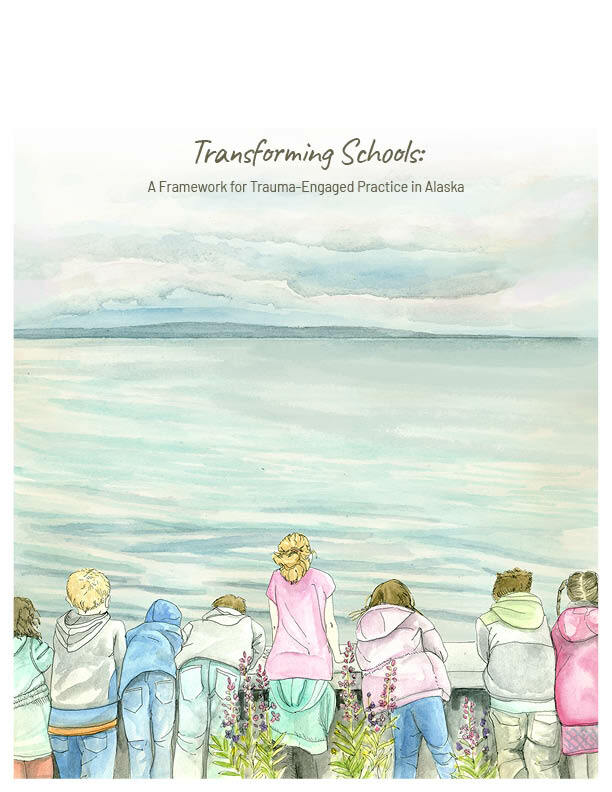 Publication for Alaska teachers, with a rural focus. Accessed online and in print.